Cargo theft has been around for centuries. History has seen robbers attacking merchants on trading roads, to pirates seizing ships at sea, to bandits on horseback robbing stage coaches. Fast forward to today. Trucks have replaced horse-drawn wagons, and today’s cargo theft perpetrators are often part of international crime syndicates. The global economic crisis increased demand for black-market goods. But cargo theft statistics are difficult to track. Adding to the cargo theft problem is the fact that it is seen as a low-risk, high-reward type of crime carrying minor criminal penalties. The FBI reports that less than 20 percent of stolen cargo is ever recovered. Cargo theft statistics vary, but it is generally agreed upon that cargo theft is a $15 to $30 billion-dollar problem each year in the United States. Exact numbers are impossible to determine in that many cargo crime incidents go unreported, and the numbers related to those incidents that are reported differ greatly by agency. Regardless, the most recent cargo theft statistics available continue to be sobering. I am writing this the day after Labor Day. For the past five years, CargoNet has reported a rise in cargo theft incidents over the Labor Day holiday (reported as the Thursday before to the Wednesday after). California leads in reported incidents, followed by New Jersey and Texas. Warehouses were the most targeted locations, with secured freight yards placing second. The average loss value per incident was $254,800, with food and beverage being the most targeted with electronics in second place. In addition, home and garden products are quickly becoming a major cargo theft target. Some good news is that, according to Sensitech’s SensiGuard Supply Chain Intelligence Cargo Theft Annual Report, overall reported cargo thefts during the first quarter of 2018 declined 22 percent, with a 15 percent drop in dollar value versus the same period in 2017. Some reasons given are the adoption of team driving, better locks, wider use of GPS tracking devices, and a number of law enforcement agencies that have formed cargo theft task forces. But Sensitech cautions that continued delays, underreporting or non-reporting of cargo thefts can still greatly understate the numbers. In addition, the lack of uniform categorization of thefts by states and police departments adds to statistical inaccuracy. As well, not all states report to the FBI’s Uniform Crime Reporting database. It’s interesting to note that both Sensitech and Scott Cornell, a transportation crime and theft specialist, report that cargo thieves are shifting their efforts from truckload targets to less secure categories of cargo, such as less-than-truckload (LTL) shipments or mixed retail loads that offer opportunities for quicker fencing of the stolen product. Many of these smaller thefts don’t drive owners to file a police report or insurance claim. LTL thefts that are reported are categorized as pilferage and have seen a 107 percent increase since 2013. LTL shipments are often less closely guarded, and truckers carrying this type of cargo often make several stops, thus increasing vulnerability. While the United States is experiencing improved cargo theft statistics, the opposite is true in Canada. 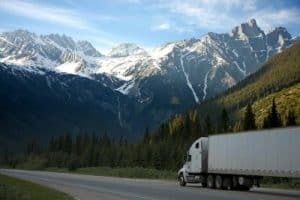 This could be partly due to a voluntary system for reporting cargo theft that was launched by the Insurance Bureau of Canada and the Canadian Trucking Alliance. The first half of 2018 saw reported cargo theft of C$27 million, on course to top 2017’s reported losses of C$46 million and 2016’s C$42 million. Canada experiences the same underreporting problems as the United States but is not enjoying improved statistics. Types of product stolen and cargo theft methods in Canada closely mirror those in the United States. All aspects of a warehouse facility should be in good working order, including lighting, backup generators, alarm systems, surveillance equipment and perimeter fencing. Strict key control of all equipment including trucks, motorized pallet jacks and forklifts is a must. All alarm signals must be taken seriously and responded to. Thieves will often trip alarms multiple times to give the impression of false alarms or malfunctioning systems. All suspicious activity, no matter how minor, should be documented and reported to management and loss prevention/security. Take extra precautions on weekends and holidays where facilities may be unoccupied. Request extra police drive-bys. Make sure all tractors, trailers, containers and container chassis have accurate license plates, VINs, and descriptive information—and that this information is readily accessible to management, security and drivers. Be sure all tractors are secured with high-quality locking devices and steering column locks. Secure all trailers (loaded and unloaded) with high-security-compliant barrier seals in addition to hardened padlocks. Use kingpin locks for unattached trailers. Avoid having loaded trailers sit unattended. The value of stolen cargo from a retailer, either from the warehouse or in transit to a store, drops directly to the shrink line. A major component of loss prevention’s success is low shrink. Learn all you can about cargo theft and how to prevent it.